I was driving back to Wellington from my parents 50th Wedding celebration, and just HAD to stop again at the Ohau Vineyard to pick up a bottle. 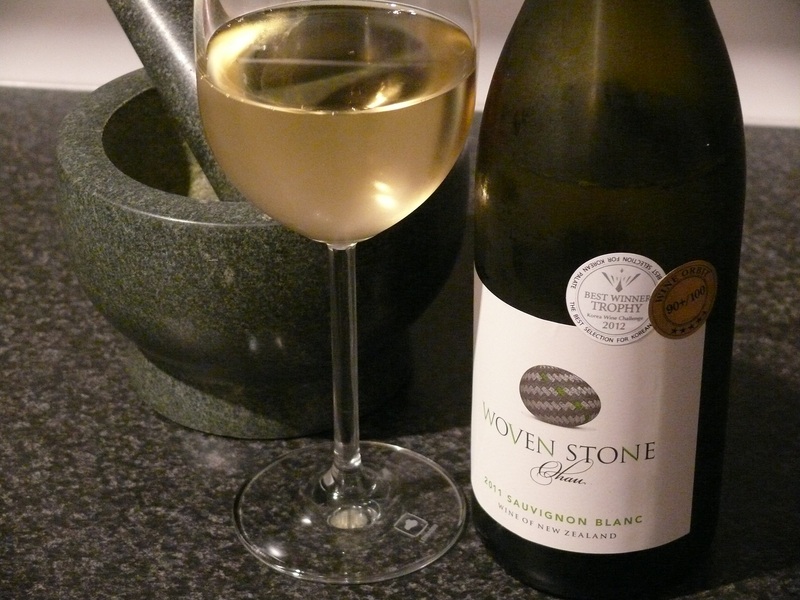 I bought the Woven Stone Pinot Noir last time I was there (excellent), so re-tried their two Sauvignon Blancs I tasted on my first visit and chose from them. The ‘first’ label Ohau Gravels Sav has 5% wild fermented in oak, so it was a little more restrained and ‘together’ than this one, and a few dollars more, but they were both good value at the cellar door. I preferred this one of the two…the wine is the colour of warm straw… very fresh and elegant. I like. There are gooseberries and limes on the nose, with the same concentrated fruit flavours on the palate, smooth not grippy in the way of Marlborough savs; and a long finish to finish. The next day: even better – richer, deeper; warm chardy characters, I swear there is some honey in there! This entry was tagged 2011, Ohau, Sauvignon Blanc, Woven Stone. Bookmark the permalink.